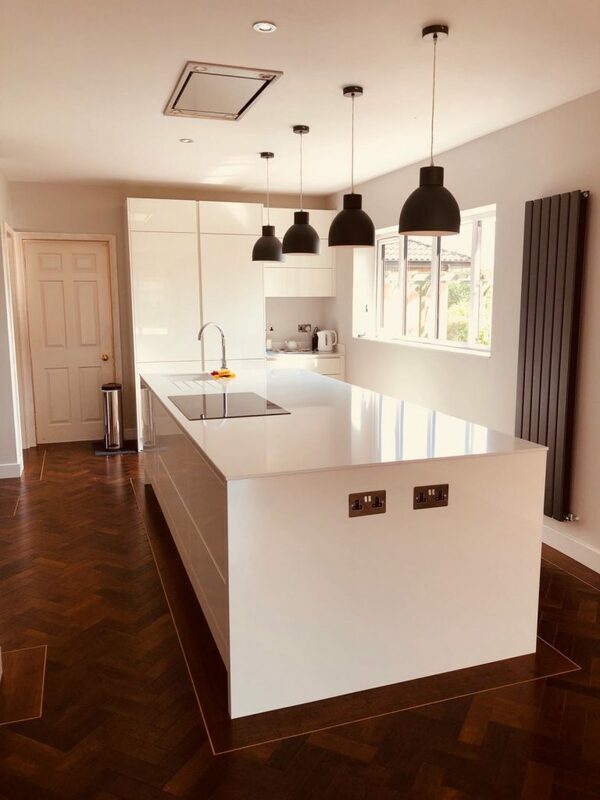 This kitchen project had a very minimalist design and the focus was kept on making it as light and open as possible. 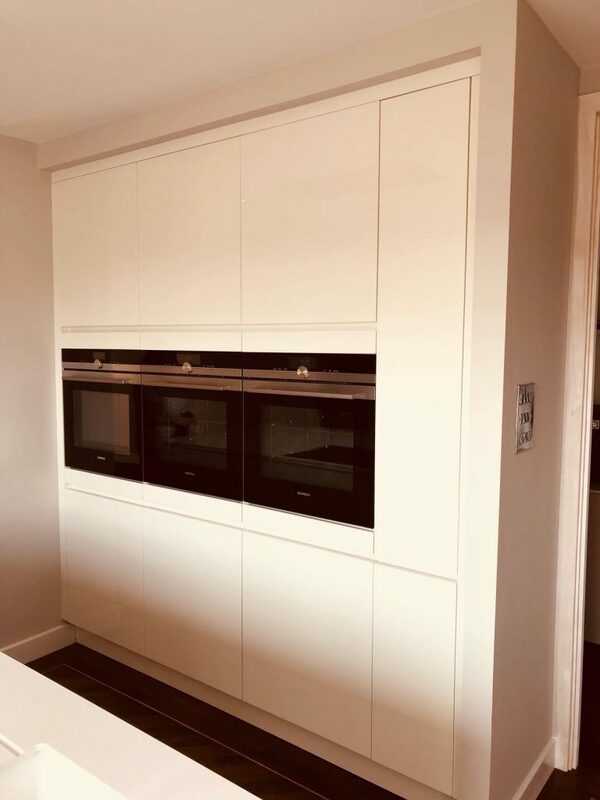 To achieve this, white handleless Hacker classic laser brilliant units were used, this was then complimented with a white Corrian worktop. 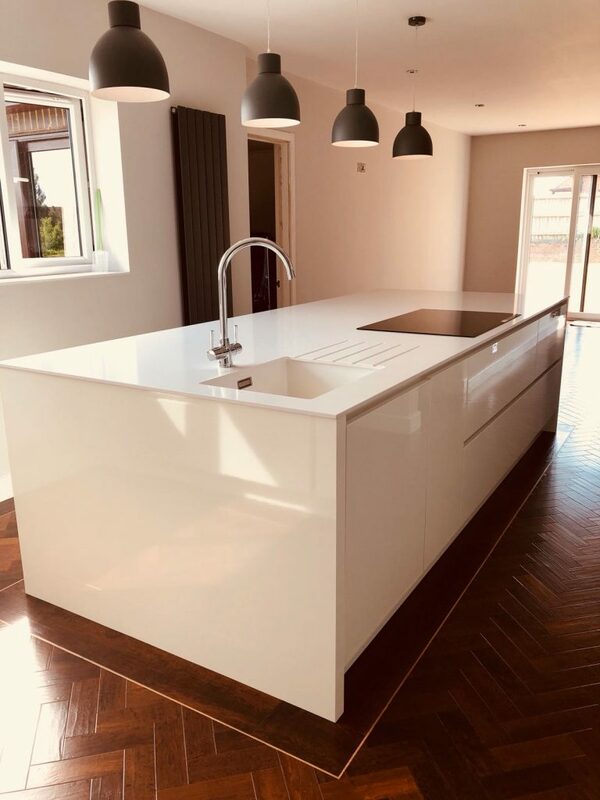 Discover how we can transform your Kitchen and bathroom with our design and installation service. Come and talk to one of our designers at our showrooms and browse our fantastic range of kitchens and bathrooms. 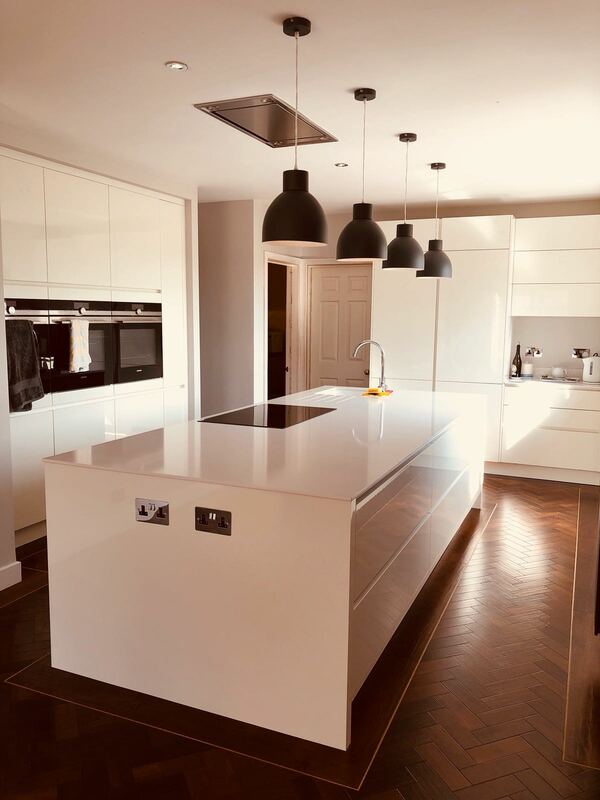 We have showrooms in Cambridge, St Neots, Newmarket and Bishop’s Stortford. Book an appointment today.